Let’s face it, most of us are addicted technology futurists. Who doesn’t enjoy speculating about what technology marvels will be commonplace in the coming decades? But what about leadership? If we don’t get leadership right, all the bright shiny objects in the future will dangle beyond our reach. Will the tenets of great leadership change over time, and if so, what will leadership look like 20 years from now? Here are six major shifts I believe will mark how the most effective leaders will behave in 20 years. Visit http://www.forbes.com/sites/ricksmith/2014/08/25/what-leadership-will-look-like-in-20-years/ to view the full article online. Strategic thinking means taking the long view. It means engaging in what is called "big-picture thinking." Leaders look at everything they are doing and at all the different things that can have an impact on them. They look upon themselves as part of a bigger world. They think in terms of "If I do this, what is likely to happen? How will my competition respond; how will friends and enemies respond; what will the market do?" Visit http://www.amanet.org/training/articles/The-Leader-as-Strategist.aspx?pcode=XCRP&utm_source=t.co&utm_medium=referral&utm_content=AMA-article to view the full article online. The research is abundantly clear: once a product is recommended by a person that influences you – you are 16X more likely to buy it. And if you have an emotional connection with that person and perceive them to have expertise on the subject, that number jumps significantly. Further, if that influential person is a celebrity or athlete with large social engagement or email lists the numbers are off the chart. Here are eight tips for influential marketing. Visit http://www.forbes.com/sites/markfidelman/2014/08/26/8-cutting-edge-marketing-tactics-that-work-better-than-facebook-ads/ to view the full article online. You're pleased with your marketing program. Your campaigns achieved short-term goals and the marketing department made important headway toward overarching strategic targets. Yet, when it comes time to prove ROI and show corporate leaders and other teams how and why your marketing efforts were a success, you might find that you come up short. Surprisingly, you're not alone. Visit http://www.huffingtonpost.com/joseph-parker/conquer-4-problem-areas-t_b_5689316.html to view the full article online. Tucson-based Mister Car Wash, one of the nation’s biggest and fastest-growing car-wash chains, will change hands in a deal that will net its private-equity investor owners about $380 million. ONCAP, an investment fund set up by Toronto-based Onex Corp., has agreed to sell Mister Car Wash Holdings Inc., Onex said last week in an earnings report. Visit http://tucson.com/business/local/tucson-based-car-wash-chain-to-change-hands/article_63235c08-fe55-5f3b-b433-03f1c69c4c8c.html to view the full article online. Belmont Car Wash & Detailing is proud to receive "Runner-Up" in The Boston A-List’s Best Car Wash category. Visit http://carwash.org/news-landing/2014/08/27/belmont-car-wash-detailing-named-runner-up-in-the-2014-boston-a-list to view the full article online. The Bubble Bath Car Wash is donating 49 bikes and helmets to The Children’s Shelter on Wednesday to help abused children under the care of the shelter have a little joy as they work to heal from the traumatic events of their pasts. Bubble Bath Car Wash, a Hispanic family owned and operated small business in San Antonio, donated the bikes and helmets as part of its 2014 philanthropic campaign benefiting The Children’s Shelter. Visit http://www.bizjournals.com/sanantonio/news/2014/08/20/bubble-bath-planning-newest-store-in-san-antonio.html to view the full article online. 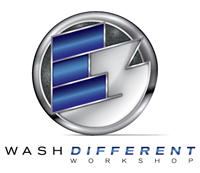 Geaux Clean Express Car Wash has purchased a 1.75-acre site in Prairieville to build its third automated car wash in the Capital Region. The deal closed on Aug. 14 at a total price of $727,495.56, or about $9.50 per square foot. It will be Geaux Clean's third location in the Baton Rouge area. Visit http://businessreport.com/article/20140826/BUSINESSREPORT0112/140829845 to view the full article online. Hydra-Flex, Inc. Ranks No. 2905 of the 2014 Inc 5000 with Three-Year Sales Growth of 126%. Visit http://carwash.org/news-landing/2014/08/20/hydra-flex-inc.-is-listed-on-inc.-magazine-s-2014-index-of-america-s-fastest-growing-private-companies-the-inc.-5000 to view the full article online. Blendco has developed a better way to treat and reuse water without the complications of filters, ozone generators, or UV systems. Visit http://carwash.org/news-landing/2014/08/25/blendco-systems-introduces-the-new-superclear-water-treatment-system to view the full article online.